About a little over a month ago we started to follow Lil Phoenix story. In the last month we have truly seen little hero right before our own eyes. His mom and dad shared with us that Phoenix is 5 1/2 years old. "Phoenix has a long story and many scars from numerous surgeries. 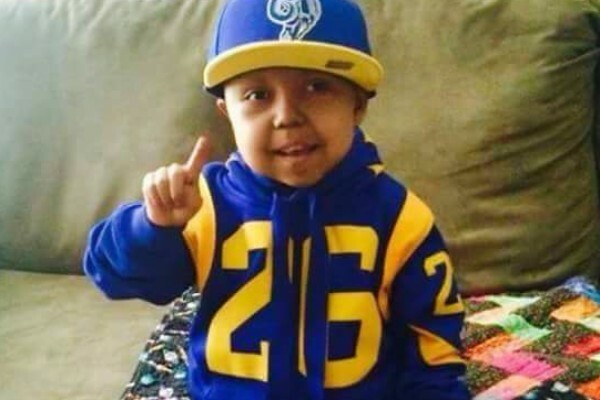 He has been battling more than just cancer. At birth he had kidney failure and had both kidneys removed at just 2 weeks. He was on dialysis for 3.5 years, luckily his dad was a match for him and was able to donate a kidney. In August of 2015 Phoenix was diagnosed with stage 4 Hepatocellular Carninoma" liver cancer. It has been a very rocky road for Phoenix. 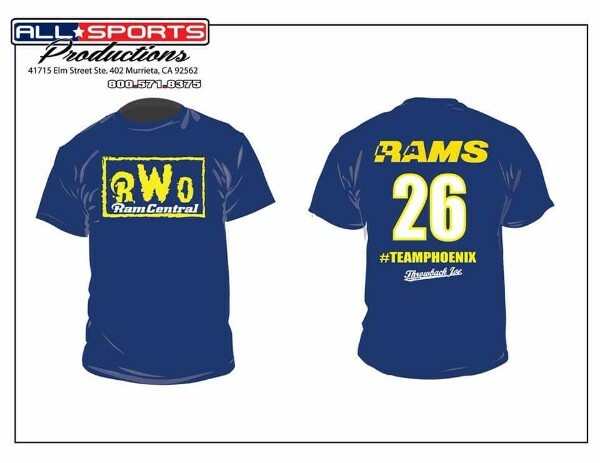 On behalf of the Murillo family RWO Rams Central are selling T-shirts for $20.00 each. All proceeds will go directly to the Murillo family to help in any financial situation they are in need of. Please continue to pray for Phoenix thru this long road of recovery. God bless you young Phoenix. Your life inpires many.